3M Scotchcast Resin 2131 is a two-part polyurethane resin designed to replace the cable jacket when splicing or repairing flexible and training cables – the Scotchcast Resin has been specifically designed for electrical insulation and mechanical protection of resin cable joints. 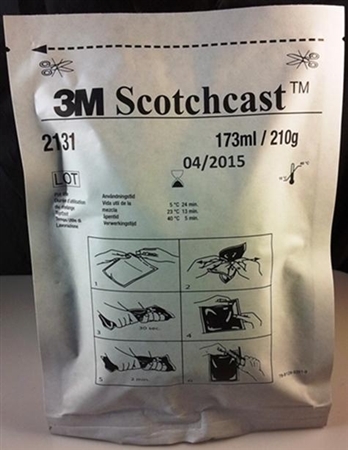 3M Scotchcast Resin 2131’s formulation makes it particularly suited to withstand the rugged conditions under which mine and portable cables must operate. Flame retardant resin type Scotchcast 2131 is also used as the insulating material for cable splices or joints operating at up to 1000 volts and designed for 194ºF (90ºC) continuous use/266ºF (130ºC) overload. Availability: Contact Thorne & Derrick Sales for price, delivery and 3M Scotchcast 2131 stocks – 3M Electrical distributor since 1985. Resin 2131 should remain in the sealed container/envelope until ready to use. In cold weather, warm closed mixing pouch to 60°F (16°C) or warmer before mixing. Keep in a warm area, such as truck cab or inside pocket, until ready to use. 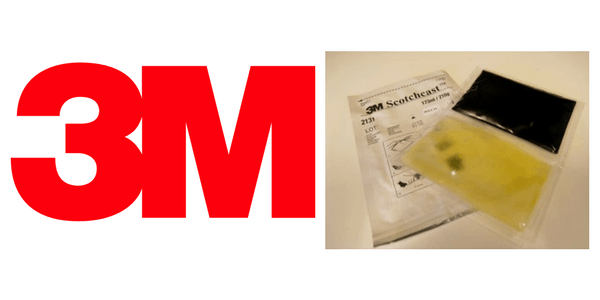 3M Scotchcast Resin 2131 has a 3-year shelf life from date of manufacture when stored in the factory-sealed packaging under humidity controlled storage (10°C/50°F to 27°C/80°F and <75% relative humidity).